Did you miss me last week? Sorry for not posting, sometimes the week just runs away on me - know what I mean?? But I'm back today and ready to share! Let's take a look at what'cha been workin' on shall we? Have you been thinking about painting our your kitchen cabinets, but not really sure if you should take the plunge?? Well my friends, there is still time to complete this project before all of your entertaining plans for the holidays . . . and here are two women that will inspire you to take the plunge! First up this week is Katie. 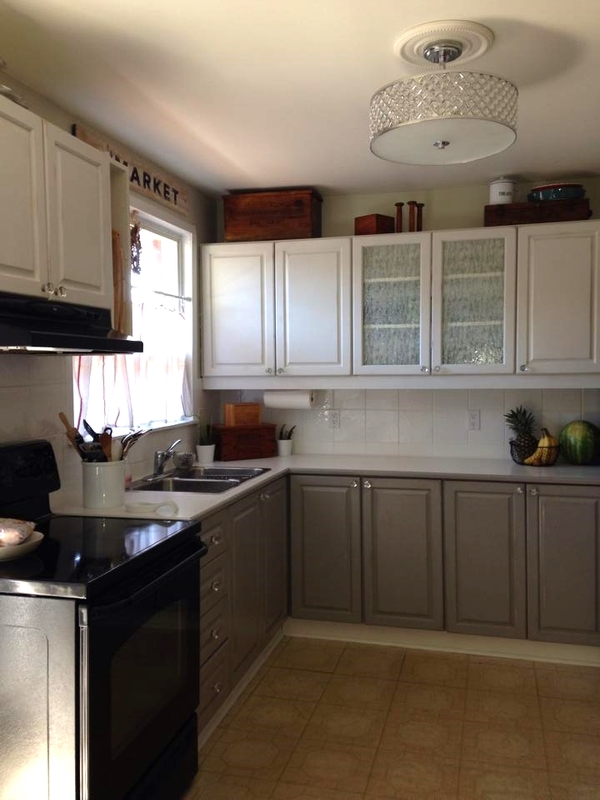 This past summer Katie took on the task of restyling her kitchen cabinets. Here is what she started with . . .
And here is her 'after'! Same floor, same backsplash, same appliances . . . .
What a transformation! This kitchen went from dark and drab to bright and contemporary. It's amazing what some paint and new hardware can do to change a space! 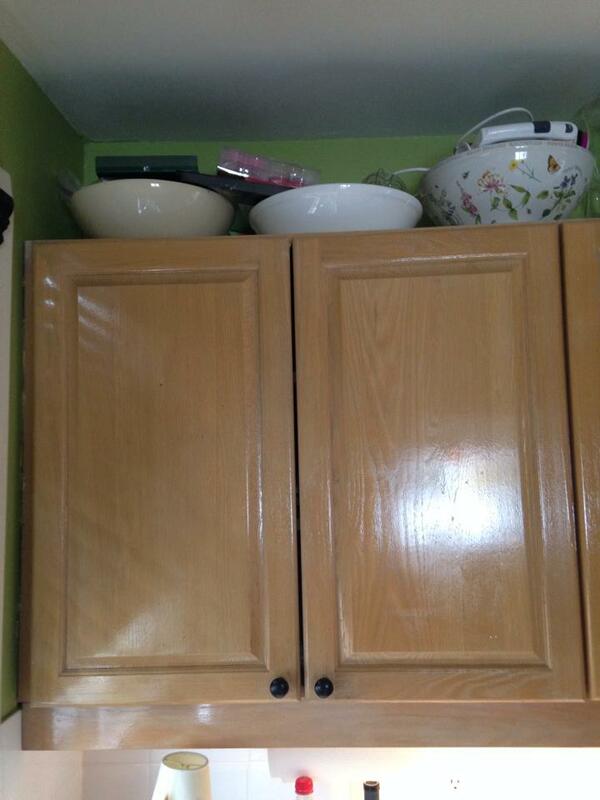 Here's a closer look at the cabinets before and after. Thanks so much for sharing your hard work with us Katie - I hope you're enjoying your 'new' space! Next up this week is Linda. 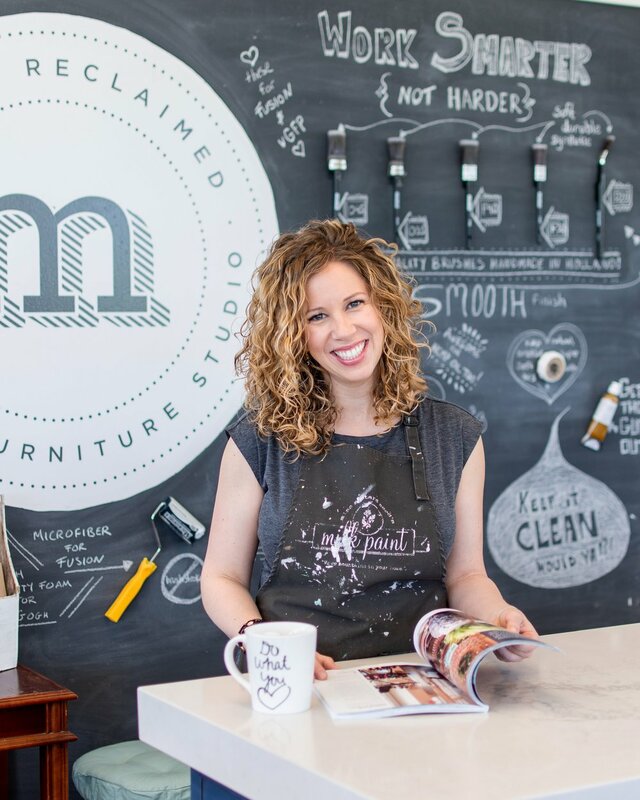 Linda is no stranger to restyling projects as she has tackled a few projects along with her daughter (and sister) already. However I think I'm safe to say this is the largest scale restyle she has done to date - and she did a fantastic job!! We all know this kitchen right?! 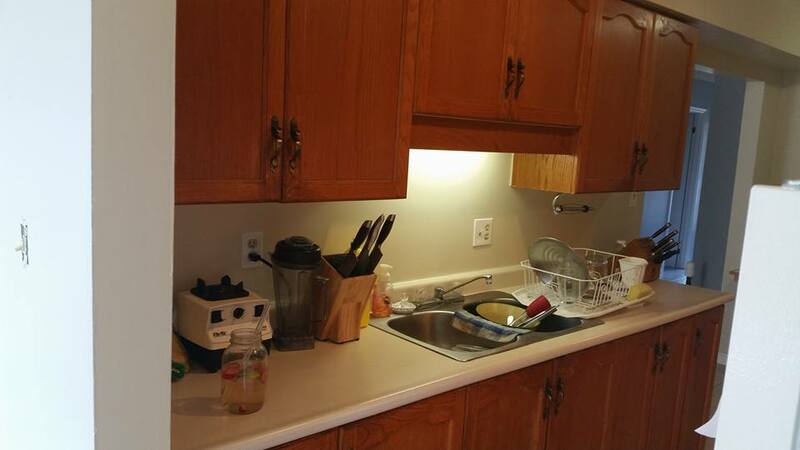 We've probably all lived in or spent a lot of time in a kitchen that looks something similar to this . . . Wowsers!! This kitchen looks amazing! Now it's obvious that more than just the cabinets were restyled here, however that's the beauty of DIY projects! Save here - spend there. Dollars saved by painting out existing cabinets can be used towards gorgeous new countertops or a stunning backsplash . . . I love it - thanks so much for sharing your transformed kitchen Linda! Soo . . . got ya thinkin' right? 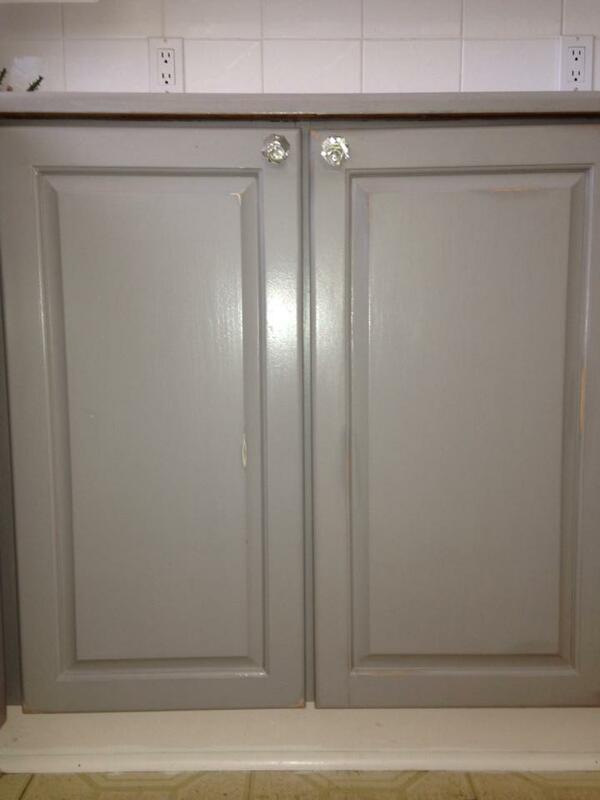 If you want to paint out your cabinets (kitchen, bathroom, laundry room . . .), stop by our studio and we would be happy to help you out with tips and tricks to complete this job!